We drove our Series 1 Lykamobile from John O Groats to Lands End - to prove the build quality, reliability and raise heaps of cash for charity too! 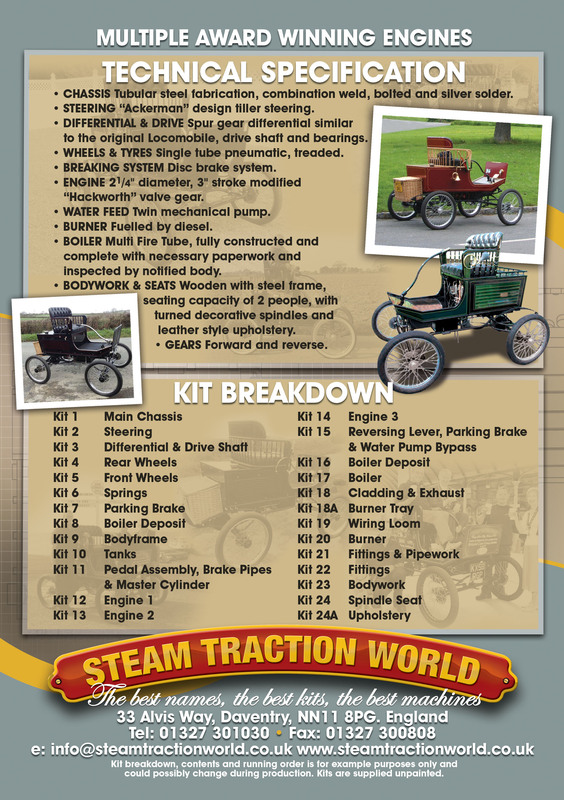 The Lykamobile Steamer Series 2 will have a number of improvements - This will include much ‘beefier’ valve gear (beefier is a technical term! 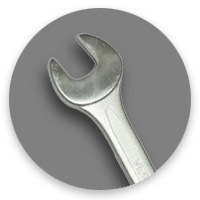 ), valve gear running on bearings, use of oil impregnated bushes throughout and stronger leaf springs. We are also considering changing the electrical water managing system gauge system and redesigning the boiler so it is more like a Stanley Steam Car. 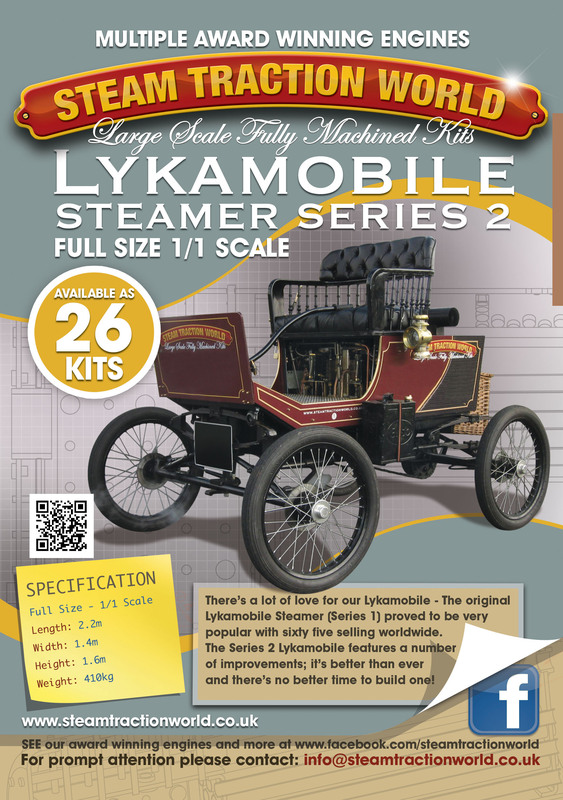 The Lykamobile Steamer Series 2 is available as a series of self assembly kits and delivered at the rate of one kit per month over a twenty four month period. .
- CHASSIS Tubular steel fabrication, combination weld, bolted and silver solder. - STEERING “Ackerman” design tiller steering. - DIFFERENTIAL & DRIVE Spur gear differential similar to the original Locomobile, drive shaft and bearings. - WHEELS & TYRES Single tube pneumatic, treaded. - BREAKING SYSTEM Disc brake system. - ENGINE 21/4" diameter, 3" stroke modified “Hackworth” valve gear. - WATER FEED Twin mechanical pump. - BURNER Fuelled by diesel. - BOILER Multi Fire Tube, fully constructed and complete with necessary paperwork and inspected by notified body. - BODYWORK & SEATS Wooden with steel frame, seating capacity of 2 persons, with turned decorative spindles with leather style upholstery. - Gears: forward and reverse. 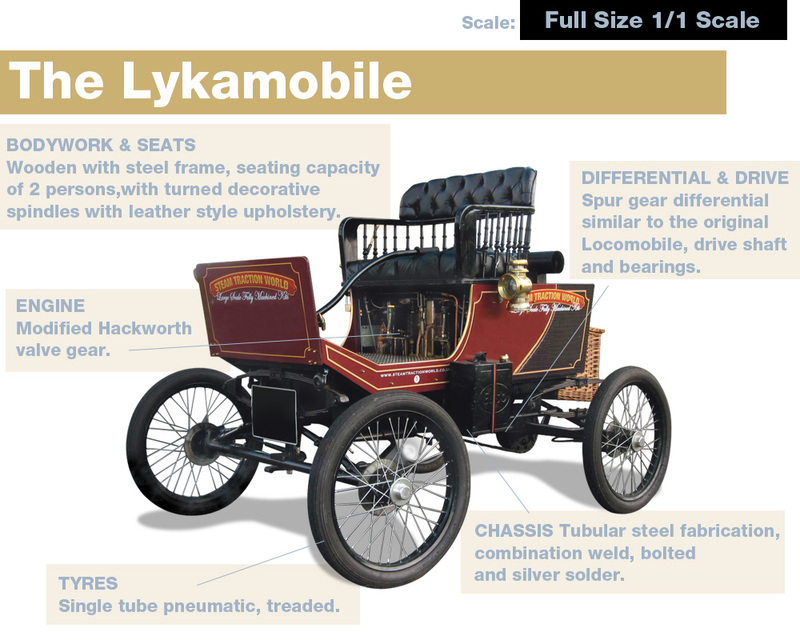 "﻿The Lykamobile is available only in kit form. It can be delivered in a series of ready to paint and assemble kits over 24 months." Each kit comes complete with full assembly instructions and isometric drawings to make everything as clear and as straight forward as possible. With hand finishing only you’ll find your kit goes together with the minimum of effort.